Cookies are short fragments of text (letters and / or numbers) that the web server to store on the client (the browser) information to be reused during the same visit to the site (session cookies) or later, even after days (persistent cookies). Cookies are stored, according to user preferences, by the single browser on the specific device used (computer, tablet, smartphone). Similar technologies, such as, for example, web beacons, transparent GIFs and all forms of local storage introduced with HTML5, can be used to gather information on user behavior and use of services. In the following of this document we will refer to cookies and all similar technologies simply by using the term “cookies”. Third-party cookies. By visiting a website, you may receive cookies from both the visited site (“owners”) and from sites managed by other organizations (“third parties”). A notable example is the presence of “social plugins” for Facebook, Twitter, Google+ and LinkedIn. These are parts of the page visited generated directly by the aforementioned sites and integrated into the page of the host site. The most common use of social plugins is aimed at sharing content on social networks. The presence of these plugins involves the transmission of cookies to and from all sites managed by third parties. The management of information collected by “third parties” is governed by the relevant information to which reference is made. The user can decide whether or not to accept cookies using the settings of his browser. The usability of the contents of the site is also possible by completely disabling cookies. The setting can be defined specifically for different websites and web applications. In addition, the best browsers allow you to define different settings for “owner” and “third-party” cookies.  The owner of the www.thomashardysale.com website will keep this information updated.